Party Vows & Dares. 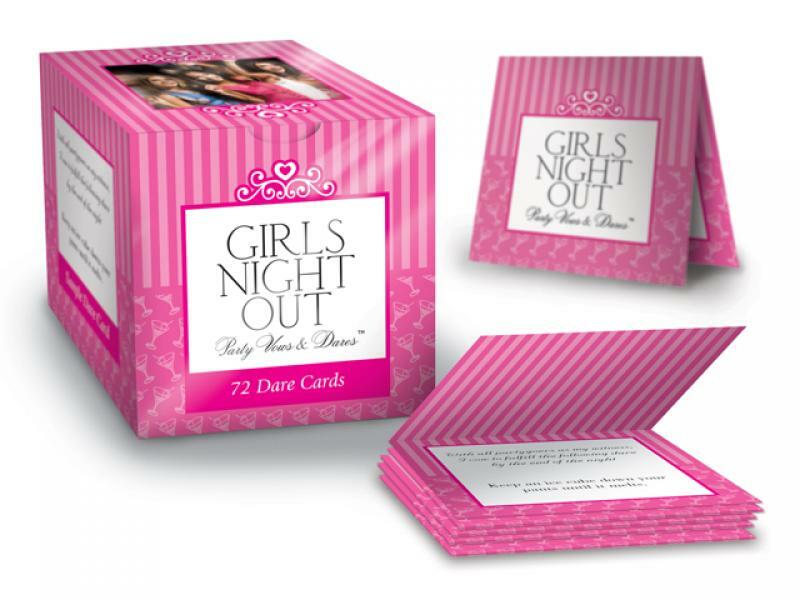 Girls Night Out Party Vows & Dares are a collection of hilarious dares, outrageous antics, and hysterical activities designed to create lasting memories and strengthen the bond that you already share with your close friends. Have the party hostess distribute the dare cards among all partygoers who must then complete the dares to the amusement of their onlooking friends. Contents: 72 Party Dares.